This whimsically-named Cottage-Style Room will take your breath away -- not only because of its size, but because of its layout and attention to detail, like tongue and groove, pine wainscoting with enough room to truly stretch out and relax. 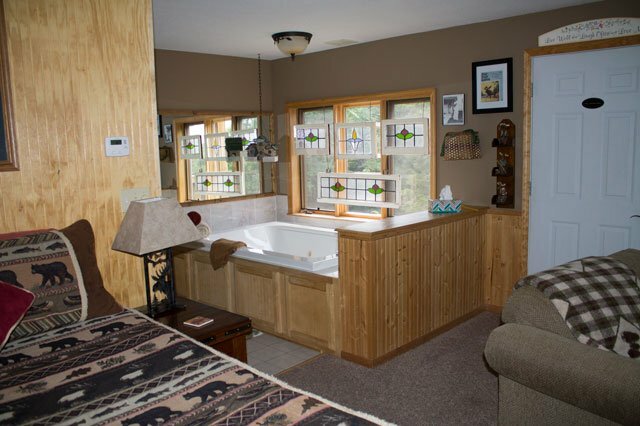 Decorated in earth tones, it is lovely enough for a female to enjoy, yet masculine enough for a man to say, "Yes, a cabin where I can put my feet up." 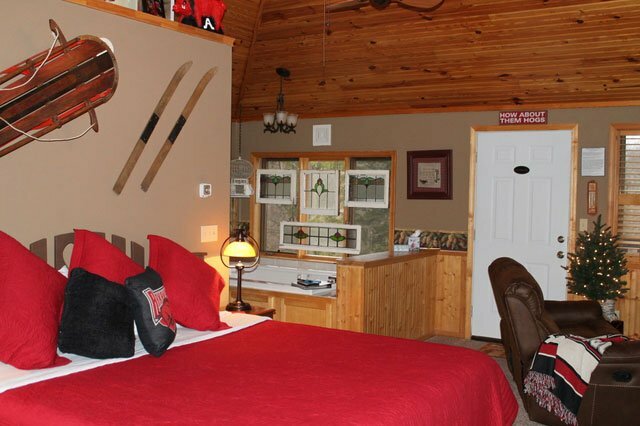 View all the amenities of this cottage room cabin here... You have your own private entrance and a wrap-around porch with a perfect view of the garden area, complete with a gas grill right outside your door. During quiet moments, there is a journal to jot down your remembrances of your Eureka Springs trip. (In fact, this journal is available in all of our rooms and cabins.) These are exquisite quarters for a couple seeking refuge from the busy, busy world.